We're super excited to tell you about our new line of sweet paper straws in fun stripes, cute dots, and even hearts! 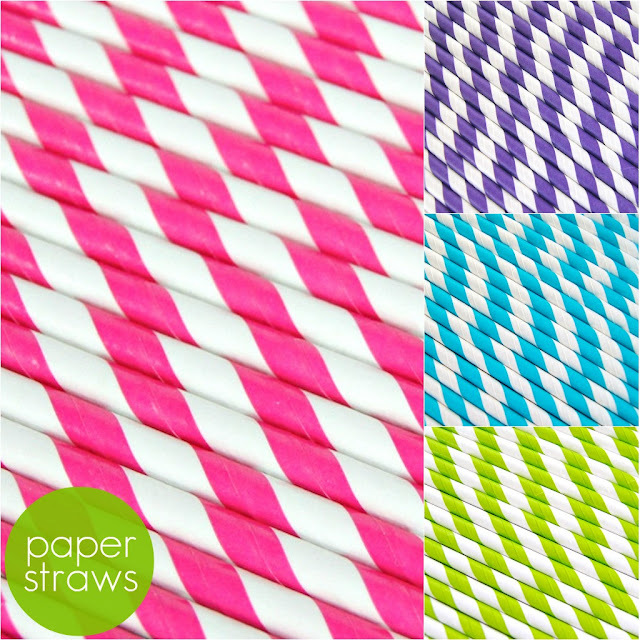 These paper straws are biodegradable, compostable and look oh-so-good too. They've been a little hard to find in Canada, so we decided they'd make an excellent addition to our line up of cute & crafty goodies.